Transform your dream into a goal… and achieve it. We all have dreams. Whether they are dreams we’ve had since we were children, or dreams we’ve developed as we’ve grown older, we all have those things we wish we could do. We all spend at least part of our lives daydreaming about what could be. That’s no way to live… always wondering what could be. If there is something you really want to do, if there is a dream you’ve had for a long time, it’s time to stop dreaming and start planning. It’s time to transform that dream into a goal… and achieve it. Once you make that dream a priority, and you change that dream into a goal, it’s only a matter of time and planning before it becomes reality. I’ve changed a dream into a goal in the past, and I achieved it. It made for the most amazing trip I’ve ever been on – and it would have never happened if I had just kept on dreaming about it. I’m changing my dream into a goal again – this time, with my writing. I’m setting my mind on the finish line. I’ve stopped dreaming, and I’m taking the steps necessary to make it happen. It’s a slow road and it takes a lot of hard work, but when you’re passionate about your dream, you make it happen. You set a SMART goal, you break that larger goal into manageable steps, and you make it happen. What is your dream? How will you turn it into a goal? What will you do this year to ensure your dream happens? 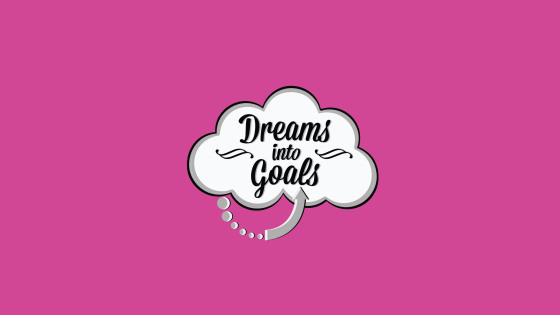 Sign up for the mailing list for some great inspiration, as well as a goal setting worksheet, to make your dream happen. You can do it. Stop dreaming. Start doing. I’ll share step-by-step instructions on turning your dream into a goal, as well as information on setting smart goals, in a later post. Sign up for the mailing list so you don’t miss a thing. I look forward to sharing my journey with you, and to learning about yours. Next Next post: An open letter to those sharing anti-immigration sentiments on Facebook.